Over the past few weeks, I’ve been bombarded with Facebook messages, texts, phone calls, and drop-ins by camp kids, StreetLeaders, and parents, all with one question: “Were the letters sent?” StreetLeader selection is one of the toughest responsibilities that Jacob Rodriguez and his team face each summer. They must narrow the selection to only 80 teens, when well over 300 are desperately hoping to be hired. Their decisions are mailed to teens in two letters: “Congratulations, you’re hired!” or “Thank you for applying for the StreetLeader Program. You are on the wait list.” With an extraordinary number of applicants this spring, we placed the majority of teens who applied made the wait list. Please consider making an immediate donation—we need your help to keep these 120 teens employed this summer. Please help me raise the $30,000 as we still need it to support these StreetLeaders! I promise the StreetLeaders will give their all to the almost 500 Camden children who will attend our camps this summer. 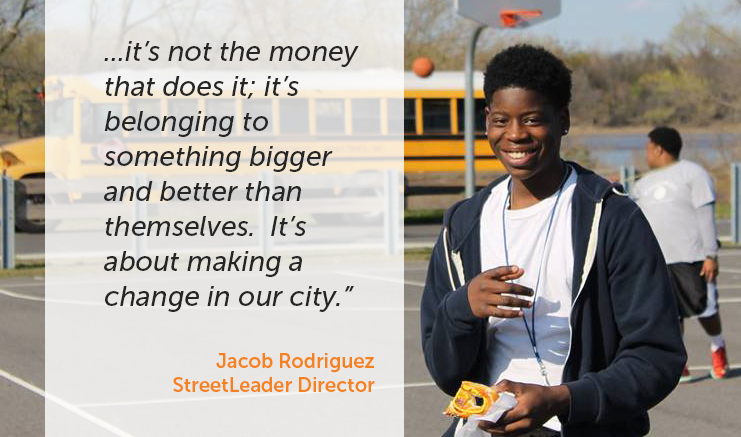 Every StreetLeader mentors, tutors, and cares for five children, so your gift of one StreetLeader stipend will directly impact a six young lives. Thank you. 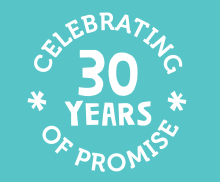 Together, we are changing Camden into a city of promise, one child at a time.